Düşünce Kahvesi: Turkey: On Europe's Verge? This article appeared in Great Decisions 2006, a briefing book published annually by the Foreign Policy Association. Reprinted with permission. The Foreign Policy Association (FPA) is a non-profit organization dedicated to inspiring the American public to learn more about the world. To learn more visit www.fpa.org. On October 3, 2005, a Turkish Foreign Ministry jet was idling on the tarmac in the capital city of Ankara waiting to see if Foreign Minister Abdullah Gül would show up for a historic ceremony in Luxembourg. The question was whether Turkey would finally start accession talks with the 25-member European Union (EU) after more than 40 years of trials and tribulations. The stakes were very high, not just for the EU and Turkey, but also for the U.S. Washington had been a strong supporter of Turkey’s European vocation from early on. There were pertinent strategic reasons for this. As a North Atlantic Treaty Organization (NATO) ally neighboring the Balkans, the Caucasus and America’s greatest challenges in the Middle East, namely Syria, Iraq and Iran, Turkey’s geostrategic location is invaluable. Equally important, Turkey is a Muslim country with a democratic and secular system, a true rarity in the Islamic world. Particularly in the post-9/11 world, where many saw a “clash of civilizations” between Islam and the West, Turkey’s European quest had therefore gained unprecedented significance for Washington. Europe, however, had a different take on Turkey. In the eyes of most Europeans, Turkey was too big, too poor and too different. Where Americans saw a strategic opportunity, Europeans perceived a daunting challenge. There was considerable reluctance before embarking on a political, economic and cultural marriage with a country like no other. 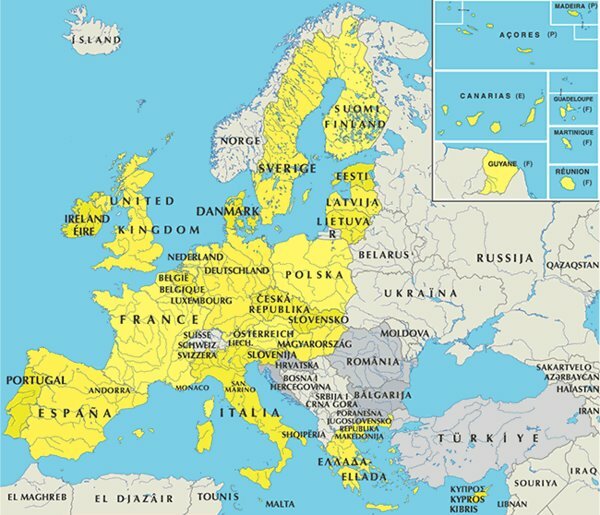 Making things worse for the EU was the fact that it only recently, in May 2004, had expanded toward Central and Eastern Europe by absorbing 10 new countries. Turkey’s population, alone, was almost as large as that of all the newcomers. As if all these factors were not problematic enough, the EU was also in the midst of a profound political crisis. 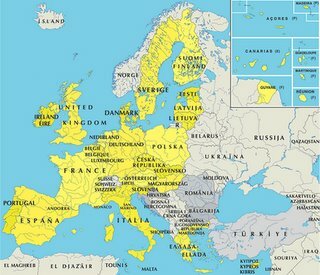 French and Dutch voters had rejected the proposed European constitution, in no small part because they felt insecure about unemployment and immigration. Far from providing a solution to these concerns, EU acceptance of Turkey was only going to complicate matters in the eyes of a skeptical European public opinion. Under such circumstances, opening accession negotiations with Turkey had become an even greater challenge. It is thus all the more remarkable that after considerable foot-dragging, internal bickering and last-minute posturing, the EU proved up to the task. A major crisis with Turkey was averted in typical EU fashion, with an eleventh-hour deal on October 3, 2005. When Abdullah Gul finally showed up in Luxembourg, there was a clear sense that history was in the making. Everyone knew that Turkey’s eventual membership was likely to take another decade, but a momentous journey had begun. After all, no country had started accession negotiations without successfully completing them. European multiculturalism, geographic borders and strategic horizons were from now on in literally new territories. WHY IS THE EUROPEAN UNION SO IMPORTANT FOR TURKEY? In many ways, Turkey’s quest to become part of Europe predates the EU. Ironically, it even predates the establishment of modern Turkey. This may sound surprising because the Ottoman Empire was the intimate enemy of Europe. Historically, the Turk represented the “other” who played a crucial role in consolidating Europe’s own Christian identity. Yet, as Ottoman centuries of splendor came to a close, the ruling elite of Istanbul sought salvation in one of the earliest projects of Westernization in history. Ottoman reforms in the military, legal and political fields were pragmatically modeled after Europe.